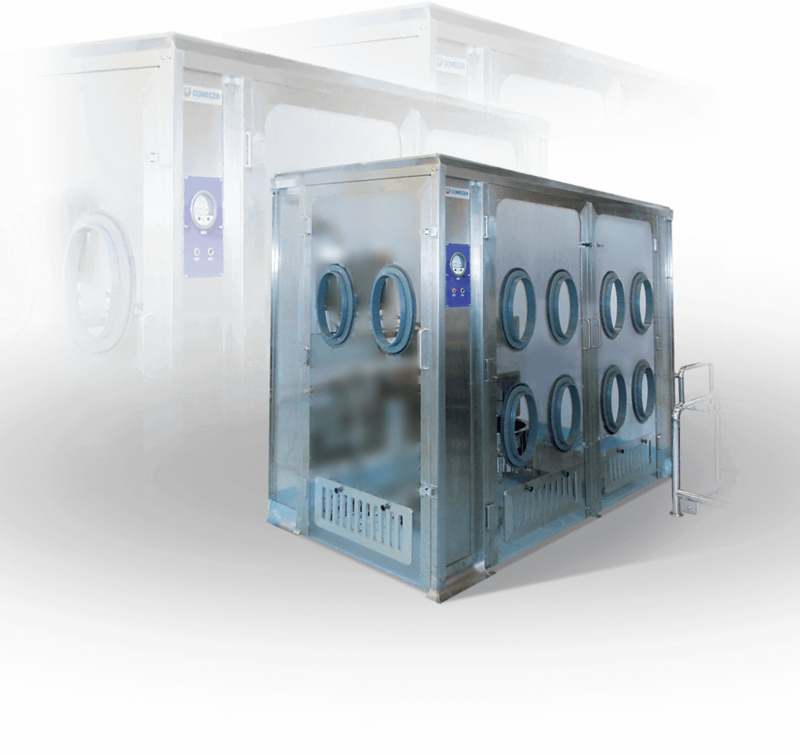 The Passive RABS was realised within the revamping of a laboratory in order to obtain a higher grade of protection of the working area already fitted with a simple laminar flow surrounded by two portable straps. All stainless steel components TIG welded. The implementation of this open RABS allowed a positive pressure level of 15 Pa to be reached, dramatically increasing aseptic condition of the critical area contained.